Please read all the following Terms and Conditions carefully before booking or continuing to use our website, paying for or participating in an Escape Plan experience. For the purposes of these Terms and Conditions the terms “Customer”, “Visitor” and “Player” are interchangeable, meaning any person associated with a booking. As we can accept your booking and make a legally enforceable agreement without further reference to you, you must read these terms and conditions to make sure that they contain all that you want and nothing that you are not happy with. Please feel free to call us on 020 7018 7390 if you wish to discuss anything. Nothing in these terms and conditions is intended to affect your statutory rights. The contract and these terms and conditions are governed by the law of England and Wales. Disputes can be submitted to the jurisdiction of the courts of England. We do not exclude liability for any fraudulent act or omission; or death or personal injury or damage to possessions caused by negligence or breach of Escape Plan’s other legal obligations. Subject to this, we are not liable for loss which was not reasonably foreseeable to both parties at the time when the Contract was made, or loss (e.g. loss of profit) to your business, trade, craft or profession which would not be suffered by a Customer – because we believe you are not buying the experience wholly or mainly for your business, trade, craft or profession. Nothing contained in any contract is intended to be enforceable pursuant to the Contracts (Rights of Third Parties) Act 1999 by any third party. All the terms of any contract are included or assigned to within these terms and conditions. With your booking you agree that Escape Plan can contact you via e-mail, phone, Twitter or Facebook to promote its news or inform you about your current booking. Your data is protected by the Data Protection Act 1998 and your details (which you will supply during the booking and payment process) will not be passed to any other companies or individuals. Users visit the Escape Plan website at their own risk. Escape Plan will do its best to provide a good service with the most up-to-date and accurate information on the Site. By using the internet to visit the website you accept that the Internet is not fully secure. Escape Plan will take all appropriate/reasonable measures to protect information you submit and secure any payment card information. Escape Plan shall not be liable for any damage that you may suffer as a result of the loss of confidentiality of any such information. The website is for personal and non-commercial use. You are not permitted to copy, reproduce, publish, display, distribute, transmit, modify, license, transfer, sell or use as source material any information obtained from this website without obtaining written consent from Escape Plan Limited. You are not allowed to link to, or use, all or any part of the Escape Plan website for any purpose which is fraudulent, unlawful, defamatory, harmful, obscene or objectionable. If you wish to use any of the logos or trademarks found on the Escape Plan website or any in other media or material you must obtain written permission from Escape Plan Limited. You accept that failure to obtain permission may be a breach of UK copyright law or the rights of Escape Plan as a proprietor. Any external hyperlinks on the Escape Plan website are out of Escape Plan’s control. You agree to use them at your own risk. Escape Plan accepts no liability for any damage arising from any use of those websites. Escape Plan owns and operates this website. Terms and conditions or the content of the website can be modified or varied at any time without prior notice. Escape Plan expects visitors/players/customers not to disclose any details of the experience directly or indirectly to the public so as not to harm the future enjoyment of the experience.  Escape Plan is a live escape experience designed for teams of 3-5 people, accepting bookings from teams of 2-7 people. People in the team will play simultaneously. It is your responsibility to check that the outline of the experience issued to you is correct, accurate and what you intended to purchase. Escape Plan is not responsible if the experience is not suitable for you. Photography and the use of recording devices are prohibited – this includes mobile phones and cameras and all such recording devices. No object which can endanger the safety of yourselves and others may be brought into the room. Any visitor in breach of these rules listed on the website, in the terms and conditions or explained during the briefing will be required to leave the experience immediately, in the absolute discretion of Escape Plan staff – no refund may be claimed if this occurs. Food and drinks are not permitted in the experience. Customers deemed to be under the influence of alcohol may be refused entry. No refund or reschedule may be claimed in this incidence. Any damage caused to the premises or its contents can be charged to that person if caused by misuse, deliberate intent/action or failure to follow instructions/rules. 10 minute briefing – explanation of rules and how to play. Players participate at their own risk. Escape Plan is not liable for any personal or equipment damage caused by not following the rules described or indicated during the session via communication from Escape Plan staff. The minimum permitted age is 11 years. Teams must have at least one adult 18+ present at the venue. During the experience, you may leave at any time. We cannot allow extra time added owing to the request of breaks. There is an opportunity to use the toilet before and after the game commences. The language for contract, booking and the website is English only. The briefing and the experienced will be managed only in English. You have to be over 18 to make a booking. You are entirely responsible for entering your details correctly on the Online Booking Form. One person is responsible for the booking. You are required to provide your full name, e-mail address and telephone number to complete your booking. The person who made the booking must attend the experience. You must contact us in advance if this is not possible (or if you wish to buy it for a present for someone else) and we will amend the booking subject to all other terms and conditions being met, e.g. age requirements. When you arrive for your experience you will be asked to confirm the name of the person who made the booking and you may be asked for additional booking information such as email address or telephone number. The person who books an experience is entirely responsible for the accuracy and truth of details given during booking. Escape Plan will not be responsible for any consequences arising from incorrect details being provided either deliberately or unintentionally by a Customer. The price is set at a fixed price, regardless of the number of players – see web site for most up to date information on pricing. Escape Plan reserves the right to change the prices at any time, but will not apply any such changes to previously confirmed bookings. Bookings can be made only online and only on the Escape Plan website. Full payment is required at the time of booking. No reservations are accepted. The experience is a live escape game. After your booking is confirmed you cannot cancel or reschedule your experience. We will not give any refund to you. Should you be unable to attend your booked slot or wish to make any changes please contact us in advance and we will try to offer you a different date and time. No guarantee is offered in this incidence. We reserve the right to cancel bookings and will refund ticket costs only or offer an alternative slot. Bookings are confirmed only by email and after payment has been made. You may only transfer a booking to another person with permission from Escape Plan. Permission must be sought at least three hours prior to the booked start time. Escape Plan reserve the right to refuse your request. Bookings may not be transferred or resold for commercial gain or profit. Any bookings transferred for this purpose will be cancelled and persons attending the booked experience will be refused admission. Visitors must be punctual as lateness will shorten the experience time, as the next experience will not be delayed. If the team or a team member has not arrived by the booked start time then they must arrive no later than 15 minutes after the booking start-time to still be able to enter the room. If you are more than 15 minutes late Escape Plan staff reserve the right to grant or refuse admission or, in the case of a team starting without a late-comer, to join an experience that has already started. When a team is more than 15 minutes late and the booking has been voided by Escape Plan staff there will be no refund of the booking fee and the booking will not be rescheduled. Escape Plan staff may take photos of you before and/or after the experience. We retain ownership of these photos and can send to the e-mail address confirmed by the booking if requested. We reserve the right to upload these photos to the Escape Plan website or Escape Plan pages on Social Media sites and will not disclose customer names when we do so.